Mike is a Crew Chief at SERVPRO of Mankato/ Owatonna and does a great job managing additional technicians on a daily basis. Mike has been a great addition to our team, is certified in water damage restoration and continues to surprise us with innovative ideas that reflect an all around great team effort. He is a hard working employee and we couldn't be happier to bring him on board. 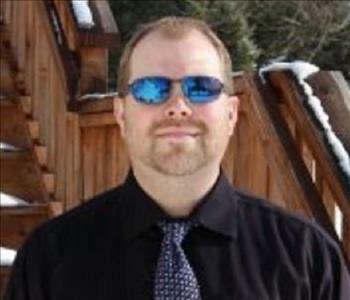 Mike also has a background in graphic design and enjoys family time when he is not working. Logan joined our team in the month of August 2018 as an experienced production technician and has recently advanced to Crew Chief managing additional technicians and jobs on a daily basis. His background in restoration is a valuable asset. Logan has been with SERVPRO for a while and transferred to our franchise when he moved to the area. We were excited to bring another experienced technician on board. When Logan is not working he enjoys his time staying active on a softball team. Welcome to the crew Logan. We're glad you're here! 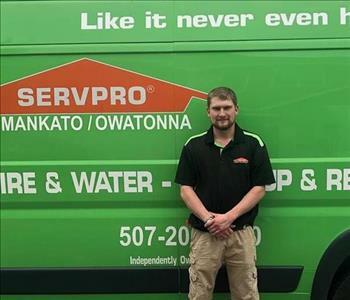 We've welcomed Ryan Gustafson to our SERVPRO team in September of 2018. Ryan is our Marketing Representative and enjoys spreading the word of how great SERVPRO can be as an addition to the community and as a premier leader in Restoration Services. Ryan has a BA in business management and AAS in Marketing management. When he is not busy out in the community spreading the great news of SERVPRO he is enjoying time with his family. 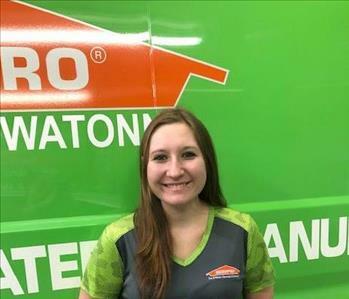 Welcome to the SERVPRO family Carissa! With a background in customer service, management, office administration, production and more, we are very excited to bring Carissa on board as an Office Manager. 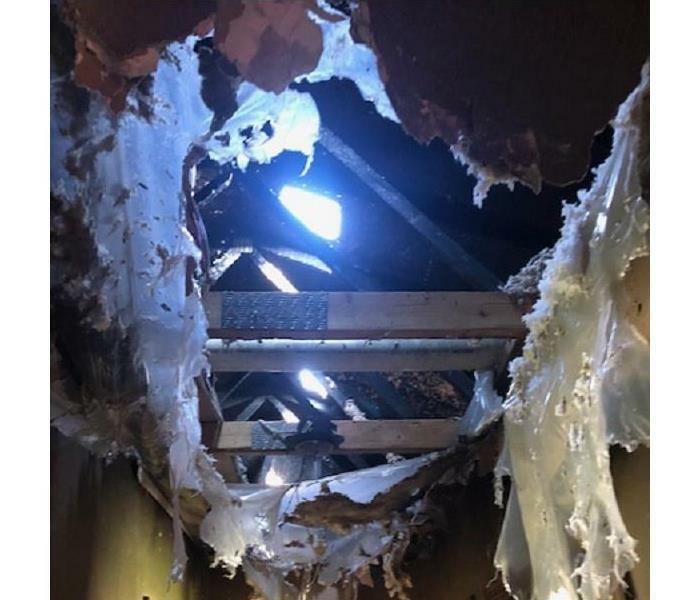 Already in the month of March, Carissa has brought a lot of great ideas, exceptional organization, positive energy and outstanding customer service with the knowledge of the restoration industry. We're excited and pleased to have her join the team. Welcome aboard!